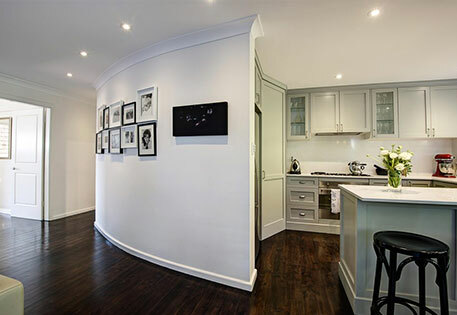 Are you planning to design your home from scratch or renovate your existing one? Well, the odds are good that your mind is preoccupied at every moment now with what lies ahead; how best to negotiate the designing or renovating process. Even the subtlest of changes made to your home’s exterior can give it a facelift and sometimes full-fledged changes may fail to draw onlookers. It is not hard to figure out that your designer holds the key. This said, a home designer too keen to impress you or assert upon his identity will make your home a masterpiece but it will not look like your home. It will not reflect your sensibility and soon you may even feel like an alien in your own house. This is why it is crucial for designers to listen as much from clients as possible and integrate clients’ inputs into the vision of their design. At MK Home Design, Martin has always believed that the skill to listen is the most important one for any home designer. He makes it a point to understand exactly where the clients stand and what is it they are visualising (may be only vaguely) and their future needs. Martin has seen many happy clients come back to him over the years and this is because they are only too keen to relive their first experience with him through another project. And whether it be a new home design or a renovation project, he strives to provide his clients with elegant solutions that are right for them. There have been cases in the past when as a designer Martin has felt stunted by the scope of renovation proposed by clients. But today, clients are only too eager to hear when Martin says they should reconsider their scope. In fact, at MK Home Design, we believe that the best renovation projects are big in their canvas. You do not want to give the kitchen a facelift and keep the bathroom unsightly to the eye. Those of us living is locations such as the Burraneer Avenue or the Grevillea Avenue in St Ives know the constant threat that Bushfires can pose. Martin remembers never ever to underestimate a force of nature and thus his designs always first consider the bushfire safety parameters. Whether you talk about new home design or home renovation in St Ives, Martin has profound understanding of the bushfire safety and the council regulations. He cares to be updated on a frequent basis, too. This way, nothing new misses his eye and everything is implemented diligently in his work. Irrespective of what you are planning-designing from scratch or renovation project – feel free to contact us today and together we will create your perfect home.